A side impact collision, or T-bone accident, is a fairly common occurrence. These accidents can be especially dangerous because of the lack of protection provided by the vehicle as opposed to when a car is hit on its front or rear bumper. 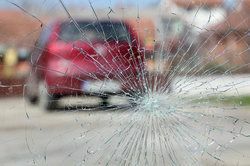 While the fault in these accidents may sometimes be obvious, particularly if another driver admits liability, there are many cases in which fault is denied by all parties. When our Sacramento clients are involved in T-bone auto accidents, our attorneys are trained to determine liability and establish eligibility for collecting compensation for damages incurred. We help our clients deal with the aftermath of these accidents while ensuring that their legal rights are protected. T-bone accidents can result in serious injury, or even death. When a vehicle is struck on its front end or rear side, there is a significant amount of bumper that is meant to cushion the car and protect the driver and passengers. In a side collision, or T-bone accident, there is little more than the car door (and passenger seat, if the car is struck on the opposite side) protecting and cushioning the driver and offering protection in the accident. A wide range of injuries could result from these types of accidents, including burns, abrasions, brain injury, spinal cord injury, or even short-term or long-term disability. Larry S. Buckley and his team of attorneys are skilled and experienced in determining liability in automobile accidents. We work alongside experts in accident reconstruction and accident investigation to ensure that we have a strong case to present when seeking compensation from liable parties. There are steps that can be taken at the scene of the accident to aid our attorneys in building your case. Drivers involved in an auto accident should exchange insurance information, collect information from witnesses, note the time of the accident, and take photos, if possible. With a strong case, we can seek compensation for damages such as medical expenses, lost wages, future medical expenses or loss of wages, property damage, and pain and suffering. If you have been involved in a T-bone automobile accident, it is important to act quickly to ensure that your legal rights are protected. Schedule an appointment with one of our attorneys at The Law Offices of Larry S. Buckley to discuss your eligibility for financial compensation. We’ll work hard to achieve the best possible outcome for your case.